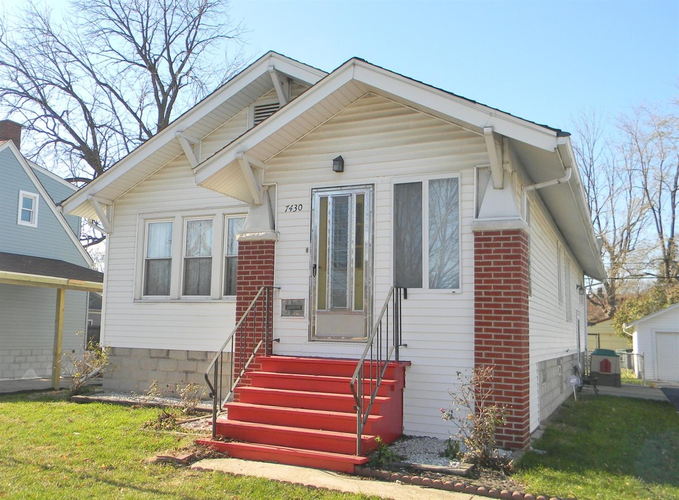 Looking for a reasonably priced South Hammond bungalow with tons of potential? This 3BR ranch with newer roof and windows is waiting for your touches. Featuring large, bright rooms, original moldings, an updated ceramic bath, and a remodeled kitchen featuring 42 in cabinets with pull outs and ceramic flooring, you'll be able to move right in and make this home your own showplace. The basement has vented, glass block windows, along with a finished area and a bonus shower. The tidy yard is fenced with a play area, shed, and a one car garage. This smart buy offers what's best about Northwest Indiana - affordable living and low taxes, just minutes from 80/94, shopping, the lakefront, and the South Shore. Directions:Calumet to 175th, west to Madison, north to home.